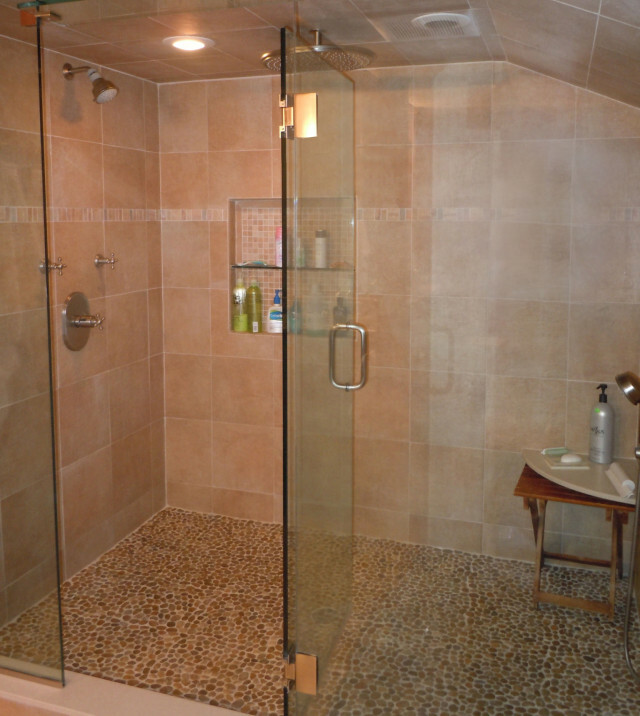 A large glass-enclosed shower features an operable transom over the door. The river stone floor coordinates with the porcelain wall tile creating a naturally soothing shower space. The oversized niche provides plenty of storage and is highlighted by mosaic tile.